You could buy Panostyle workwear 15% cheaper during this September. Starting February 2018 we substantially lowered the prices for D-Mach trousers, bib & braces and vests for you to buy samples of this cloth and see it for yourself how functional and good the cloth is. - 08.01.2018 – day off. Delta Plus winter work wear 2017-2018. Warm gloves, vests, pants, coats and protective foot wear for working in cool premises and outside. Should this winter you need the maximum protection from cold combined with high quality durable materials used, please, pay attention to Nordland parka and Iceberg bib & braces. 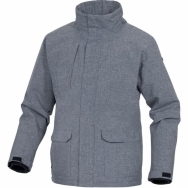 Wide assortment of lined coats of different pricing levels for different work conditions and preferences. Also you may be interested in our discounted products. While protecting your garden from pests do not forget about you protection! 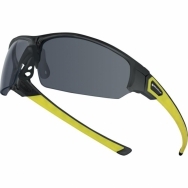 Very light work trainers providing S1P HRO SRC protection. Metal free foot wear. Upper: leather and breathable mesh for maximum comfort during the hot time of the year. 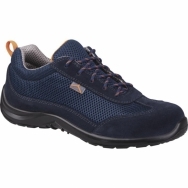 Slip resistant outsole is made of polyurethane and nitrile. 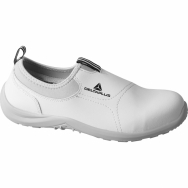 The outsole provides protection when contacting hot surfaces (hot asphalt, roof, floor and so on). Merry Christmas and Happy New Year! We wish our country achieves excellent results in economics and foreign politics in 2017. - 09.01.2016 – day off. 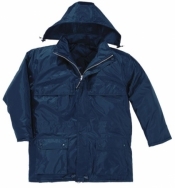 We offer Darwin work winter parkas at a very low price: 516,00 hryvnas including VAT. 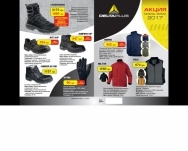 Wear high quality European warm workwear this year autumn-winter season. Merry Christmas and Happy New Year! May 2016 bring Ukraine peace and economic upturn. -	16th of January 2016 – working day. If necessary, during New Year holidays you can get in touch with us by phone: (093) 321 3517.